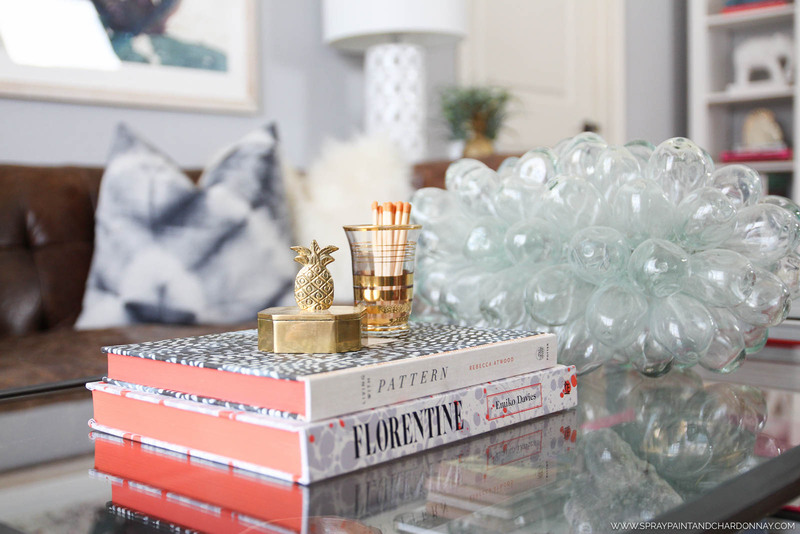 This post is so extremely overdue that I’m almost embarrassed to post it, but this amazing artwork from Minted completely transformed my living room so I have to share it before we pack everything up and move in a couple of weeks. Over the past year, my decor style has evolved into what I like to call “California Cool goes South” or “Fancy Boho.” I’ve recently been drawn to a more muted color palette and a less cluttered look. And, I think it’s safe to say that my previous living room (pictured below) was quite the opposite. I’ll be the first to admit that it had a lot going on. I wanted to create a space that was calm, cool and inviting and wasn’t so overly stimulating. 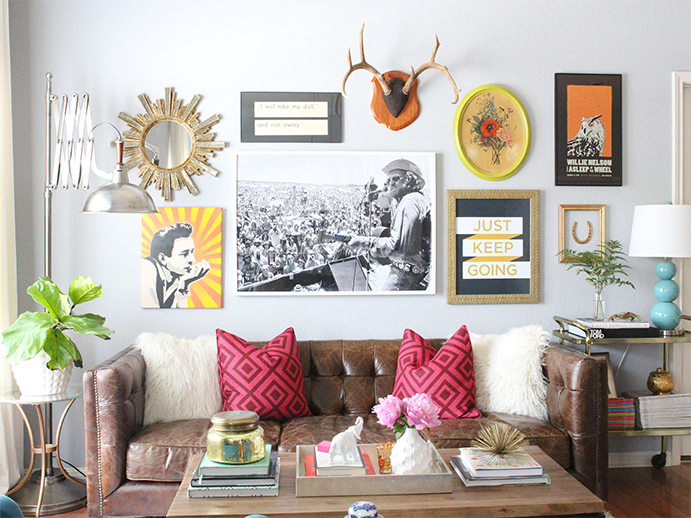 Getting rid of the eclectic gallery wall was the first step in my mini makeover. And while I love a collected look, especially in gallery walls, mine just didn’t seem to be cohesive. 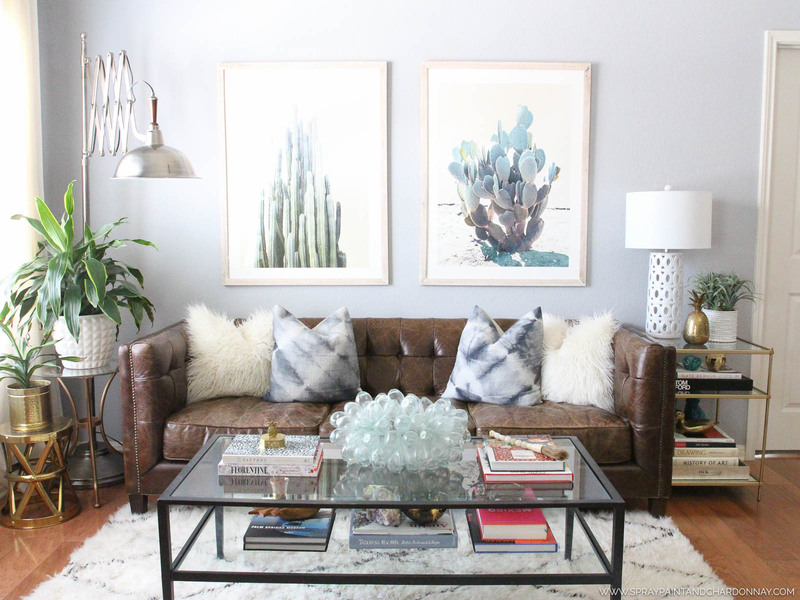 I was drawn to Wilder California’s prints since they hit the Minted marketplace, and immediately knew that those would be the keystone pieces for my calmer, cooler living room. I wanted larger prints, so that they would be a statement piece, and ended up getting the 30″ x 40″ prints framed in Whitewash Herringbone. Y’all, they’re beyond perfect. It’s amazing how one small change, like switching out artwork, can completely change the look and feel of an entire room. The herringbone frame exudes “Fancy Boho” and adds a little more interest than a plain white frame, yet keeps the look light, as opposed to a heavier wood frame. And in my true “Give a Mouse a Cookie” form, once I changed out the artwork, other changes needed to be made as well. I swapped out my beloved La Fiorentina pillows for some dyed indigo covers that I found on Etsy. I traded in my heavy wooden coffee table, for this wrought iron and glass one of Phillip’s, and it totally lightens up the space–plus, you can see more of the Moroccan rug. The amazing bubble sculpture was a recent score from Austin’s City Wide Garage Sale, and it makes for the perfect center–and conversation–piece on the coffee table. If you live in Austin and haven’t made it to CWGS yet, GO! I’ve found so many treasures there recently, and I can’t wait to show you as we start to decorate the new house. I’ve been completely in love with the transformation, and I’ll sad to have to take it all apart in a couple of weeks. But fear not! 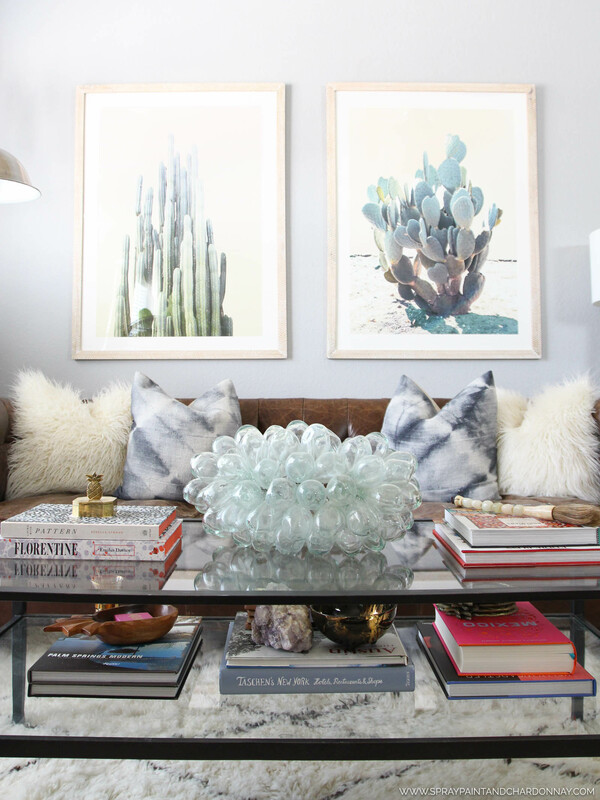 The cactus prints are going to find a fabulous new spot to shine in the new house, so stay tuned! Wilder California prints courtesy of Minted. Where is the sofa from? LOVE IT! It’s the Abbott Sofa from Four Hands Furniture!